Since the nineties, bold promises have been made about XML and what it can make possible in the realm of content reuse and automated publishing. In some areas such as tech pubs this has happened, but when it comes to mainstream content creation by business users and knowledge workers, XML is no more prevalent than it was 20 years ago. Smart Content is the approach to next generation content authoring and publishing, which enables business users and subject matter experts to easily adopt XML in order to keep up with consumer demand for high-value communication. 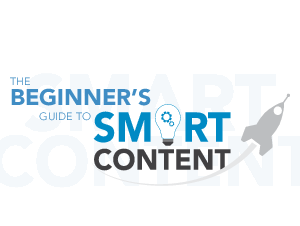 With Smart Content your organization can benefit from lower cost and effort to create and reuse content, dramatically reduced translation costs, shortened time to market, greater compliance control and content that is more accurate, consistent, up-to-date and published across multiple channels.